And the one that itches my mojo the most… “use your time wisely.” Because I want people to do exactly that, particularly when it comes to their training and sport. I’m not the only time-botherer though… there has been a long line of them throughout our history, with most of them bequeathing us a time epitaph of some sort. 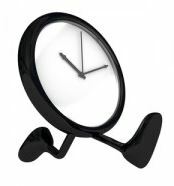 William Penn (he of Pennsylvania, the big hat, and a founding father) said, “time is what we want most, but we use worst”. I read that and then I get the fidgets. Then naturally one is reminded of the classical Greek peripatetic philosopher Theophrastus (is that a bit too Stephen Fry) who once said, “time is the most valuable thing a man can spend”. And then it’s like pop… I reach my “time-wasting” overload threshold and I develop a mind worm. And the mind worm is often the same thing. It is compression socks/sleeves. They definitely won’t make you a faster runner. They may help you “recover” from your exertions a tiny bit quicker… but really only if you wear them after the exertions (and for quite a long while)… it makes no difference if you wear them whilst exerting. And of course you are going to recover anyway… so bear that in mind. 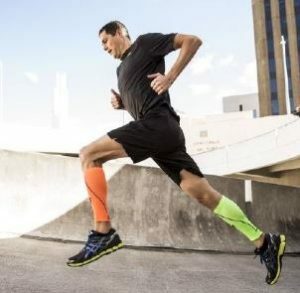 There doesn’t seem to be any correlation between injury prevention and compression wear. However, they feel good… kinda snug and supportive and like your getting some sort of massagey squeezey effect, and there is no evidence that correctly fitting ones do any harm… just like bobble hats. And then there’s the big one. I won’t even call it placebo because I prefer “ritual”. They become part of the runners ritual. The belief system that the runner has constructed to propel them down the road more successfully. Habit, or habitual behaviour. So on balance I can take or leave the compression sock thing until I start thinking about the “time” element involved. I worry about that. It goes like this. You have to buy them first. Which may take some internet trawling, a bit of review reading, some credit card digital gymnastics, sending them back if they are the wrong size etc. That’s probably half an hour “spent” there. God forbid you actually go into town and do an old school “live” purchase… that’s a good hour there gone at least. Putting them on and lining up the seam to ankle… 45 secs. Taking them off… 30 secs. Finding one in the sock draw and the other one still in the wash basket… 2 mins. Washing and drying them, because they really do honk… lets say 2 mins. Forgetting them and worrying about it… hard to quantify but it has a time penalty. They just become another “time leak”, and athletes seem to collect these leaks quicker than a tent from Aldi. Adding together the cumulative time wasted over compression sock ownership during a whole years running may appear to be a randomly obsessive statistic… but I cant help it. Presuming you have a yearly sock purchase, and you run 3 times a week, and you wash your socks every other run, the management of your sock habit comes in at a minimal time cost of 24,570 seconds a year. That’s 6 hours and 40 mins. Of your life. Because you own some lycra tubes. Of deeply questionable benefit. But it’s not the socks… it’s the time. What else could you be doing that is of greater benefit to your running with this 6 odd hours. Well more running probably springs to mind, but lets not go there. Lets do something evidence based that is now known to compliment a runners physical performance potential and injury prevention strategy. That would be some relevant and effective strength training. Lets say a sequence of twelve 35 minute relatively high intensity circuit training sessions targeting leg, hip and trunk strength and stability. With your 6 hours you could click this specific workout, which I prepared for you earlier, and do it twice a week for 6 weeks and then feed the potential strength gains back into your running programme. 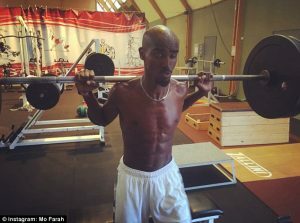 Mo Farah does it, and he’s pretty handy at the running thing. Mo doesn’t wear compression socks though, and neither did any of the other 23 men in this years 10,000m World Champs. There were 33 runners in the women’s 10,000m. Lets play spot the sock. But enough with the socks. There are plenty of other time leaks that athletes collect, and here are some potential “time hacks” to plug them up. Protein bars. Selecting, purchasing, finding at bottom of bag, unwrapping, endless chewing. Waste of time. First off, if you have genuinely trained hard enough to warrant additional protein, then brilliant, you have done the most important part. Secondly… 2 boiled eggs. Perfect accessible and digestible protein, already in the house, and you can do 3 minutes of targeted flexibility work as part of your recovery whilst they are boiling. Hydration/recovery and other isophoney drinks. Selecting, purchasing, mixing, actually trying to drink because they taste like a pint of sand, trying to get the smell out of your favourite bottle. Time wasted. Instead go directly to your fridge and scull down a tumbler of semi-skimmed. It’s the perfect recovery drink, and it’s not me making this up, this is what Doc Phil Watson a sports nutritionist at Loughborough University says… “milk is indeed an ideal post-exercise recovery drink, effectively replacing sweat losses incurred during exercise and replenishing the body’s carbohydrate stores.” And there’s some decent protein in the white stuff as well. Energy Gels and the like. Selecting, purchasing, finding one that doesn’t make you heave. Meticulously taping them to your cross bar or forearm, and balancing jelly babies on your handlebars. Worrying about how many dolphins you have choked when the sachets are washed out to the oceans. Time wasted. Here is an old dodge from back when the Tour de France was helmetless. Cold baked potatoes. Natures gift to the endurance cyclist. Lob a few small ones in the oven whenever you are cooking. Then just take them with you on a ride, straight in the back pocket, I don’t even wrap them. They shrink down and firm up as they get cold, incredibly easy to chew on, full of starchy carbs to give you that hit you need, easy to digest, they don’t rot your teeth, and you feel like you have actually eaten something half substantial. Do it, you won’t look back. Run or cycle, or both. With consistency, specificity, and when appropriate with intensity, but above all consistently. Recover. With quality, sleep well, eat well, take your time. Support both of the above with dedicated strength and mobility training. That’s pretty much it. The best athletes I know keep their focus on this short list, and they do the basics better than anyone else. Bear in mind that time is the most valuable thing that you can use, because once you lose it, you can never get it back. Please be aware that I have been enormously generous in spending a whole chunk of my time writing this so that you can save a whole chunk of yours by not doing the fluffy add-ons and focusing your efforts on the list above. So pull your socks up and get to it.